> How can students of all abilities become engaged in their learning and motivated about becoming healthy and active? > How can current, real-world PDHPE examples be brought into the classroom? > How can planning, learning and assessing be made easier? 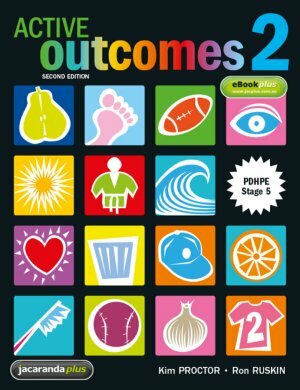 Active Outcomes 2, Second Edition eBookPLUS is an electronic version of the textbook and a complementary set of targeted digital resources. These flexible and engaging ICT activities are available online at the JacarandaPLUS website (www.jacplus.com.au). Click here to view Active Outcomes 2 PDHPE Stage 5, Second Edition eBookPLUS.